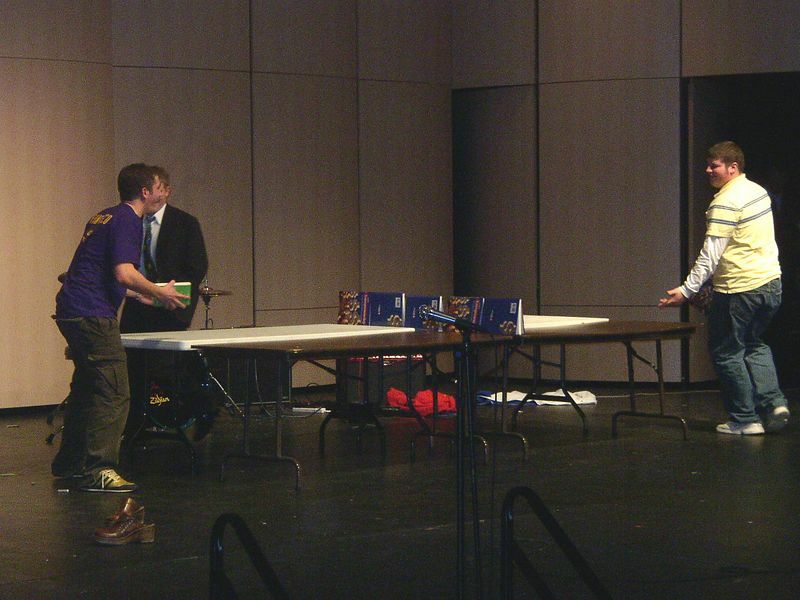 This was an event sponsored by the Chaska High School Deca Club. It was the first, of hopefully an annual, fun, creative and goofy pagent - for the male gender...."Mr CHS" = Mr. Chaska High School! Steve was asked to be the MC for the evening, and an optional enterance fee was collected which was donated to The Miracles of Mitch Foundation. As the color orange was one of Mitchie's favorites, it waw also a favorite of the night. The winner of the Mr. CHS title was Ryan Williams! !